With the new series of MAXHUB Interactive Flat Panel introduce in Hong Kong market, Pixelbyte Technology (HK) Limited held an MAXHUB Product Launch Event at Royal Plaza Hotel on 18 May 2018. During this event, Pixelbyte Technology (HK) Limited was authorized as one of the core distributors in Hong Kong & Macau market for MAXHUB products by Guangzhou Shiyuan Electronic Technology Company Limited (CVTE), one of the leading companies in LCD main boards, intelligent interactive panel and hardware in China. MAXHUB is a powerful interactive flat panel competed to solve the limitations of traditional small and medium conference room. Now the MAXHUB Ultimate version are available now with all-in-one solution for video conferencing. 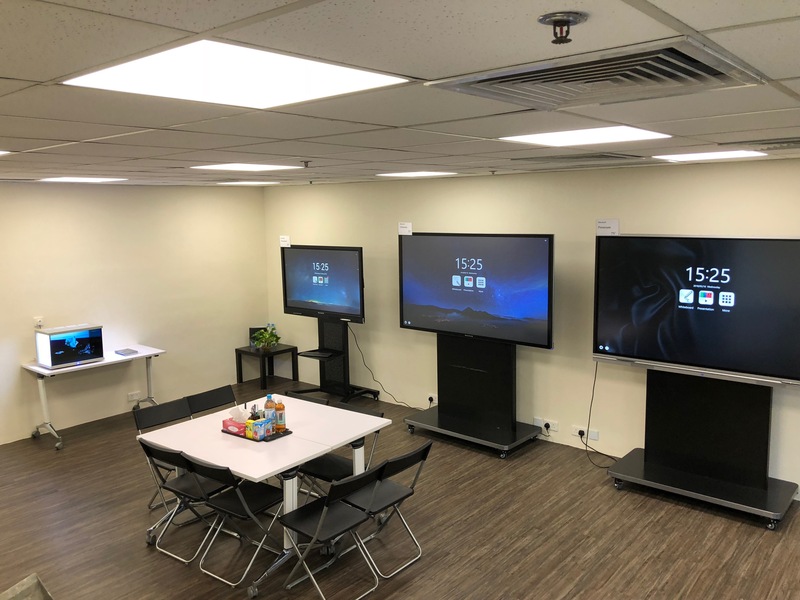 The MAXHUB showroom is now ready at 908, Chevalier Commercial Centre, 8 Wang Hoi Road, Kowloon Bay, Kowloon. To reserve private demo session, please feel free to contact us for details.